The suspenseful new Netflix series is based on the novel of the same name. 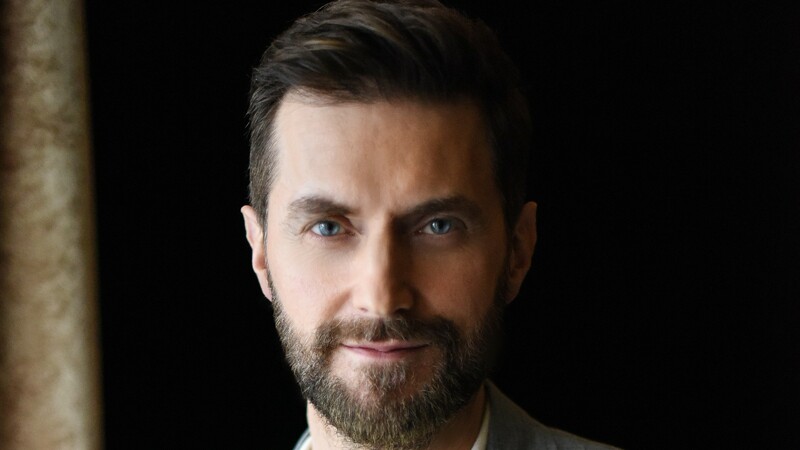 Netflix has ordered 8 episodes of The Stranger, a suspenseful new series based on the Harlan Coben novel of the same name, with Richard Armitage set to star as Adam Price. A secret destroys a man’s perfect life and sends him on a collision course with a deadly conspiracy in this shocking thriller. Adam Price has a good life, two wonderful sons, and a watertight marriage — until one night a stranger sits next to him in a bar and tells him a devastating secret about his wife, Corinne. Soon Adam finds himself tangled in something far darker than even Corinne’s deception, and realises that if he doesn’t make exactly the right moves, the conspiracy he’s stumbled into will not only ruin lives—it will end them. The show will bring together the team behind Harlan Coben’s Safe which debuted on Netflix earlier this year: Harlan Coben is the creator of the series and will serve as an executive producer, Danny Brocklehurst will serve as lead writer and executive producer, Nicola Shindler will serve as an executive producer and produce for Netflix through her company RED Production Company (a STUDIOCANAL company), with STUDIOCANAL as the studio, and Richard Fee will serve as executive producer. Madonna Baptiste will serve as series producer. The Stranger is the third collaboration for RED Production Company, Harlan Coben and Netflix, following the success of The Five and 2018 hit Harlan Coben’s Safe, which starred Michael C. Hall. The new drama series reunites Nicola Shindler and Harlan Coben with writer Danny Brocklehurst. The 8 x 60-minute series goes into production in March 2019. Richard Armitage is a multi-award winning stage and screen actor. Armitage is best known for his role of Thorin in Peter Jackson’s trilogy of The Hobbit and more recently as Daniel Miller in Epix Berlin Station & Claude Becker in Oceans 8. Armitage also voices Trevor Belmont in the Netflix series Castlevania & Logan in Marvel’s Wolverine podcast. He will shortly be seen in The Lodge, directed by Severin Fiala & Veronika Franz (Official Sundance Film Festival 2019) and the upcoming feature My Zoe, written and directed by Julie Delpy. RED Production Company was set up by Nicola Shindler in 1998 to work with the best writers on modern, innovative and entertaining programming. The Manchester-based indie has since produced some of the UK’s most popular drama series working with critically acclaimed writers including Russell T Davies, Bill Gallagher, Sally Wainwright, Danny Brocklehurst, Dan Sefton and Sean Conway. RED Production Company has produced some of the UK’s most successful and award-winning dramas, including Russell T Davies’ Cucumber and Queer As Folk, Sally Wainwright’s Happy Valley and Last Tango in Halifax, Danny Brocklehurst’s Come Home and Ordinary Lies, Lenny Henry’s Danny and the Human Zoo, and Dan Sefton’s Trust Me. Harlan Coben’s Safe, starring Michael C Hall (Dexter, Six Feet Under) and written by Danny Brocklehurst, received rave reviews and is available on Netflix. Their latest critically acclaimed series, Butterfly, written by Tony Marchant and starring Anna Friel (Marcella, The Girlfriend Experience), aired on ITV. Following a partnership deal at the end of 2013, RED Production Company is now part of STUDIOCANAL’s international production network, which includes TANDEM Productions in Germany and SAM in Scandinavia. STUDIOCANAL, a 100% affiliate of CANAL+ Group held by Vivendi, is Europe’s leader in production, rights acquisition, distribution and international sales of feature films and TV series, and operates directly in all three major European markets, France, the United Kingdom and Germany, as well as in Australia and New Zealand. STUDIOCANAL is actively developing and distributing high-end TV series through its network of award-winning subsidiary production companies, which includes Germany’s TANDEM Productions (Take Two) and the UK’s RED Production Company (Safe). With over 70 million books in print worldwide, Harlan Coben is the perennial number 1 New York Times author of thirty novels including Fool Me Once, Tell No One, No Second Chance and the renowned Myron Bolitar Series. His books are published in 43 languages around the globe. Harlan is the creator and executive producer for several television shows including Safe.